Varun Khanna served as the Managing Director/ CGM at BD (Becton Dickinson & Co) in India, where he developed the strategic direction of BD India and South Asia. Prior to BD, he worked as the Regional Director at Fortis Healthcare, playing an instrumental role in driving the growth of business in two of its fastest growing regions – West and East. He has held a variety of progressively senior roles in sales, marketing, P&L leadership in large organisations in retail (Reliance Retail) and telecom (Bharti Airtel). He also served as the National Executive Board Member of AMCHAM, Chairman – AdvaMed India Working Group and Executive Committee, Co-Chair at FICCI Health Services Committee and Secretary and Treasurer of NATHEALTH. 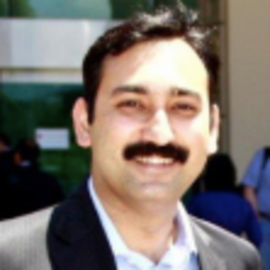 Varun is known for his dynamism and passion to understand customer challenges. At BD, his mission was to improve profitability of customers through effective integration of resources to provide a competitive edge in the healthcare industry. With his forward thinking and a distinctive ability to seamlessly integrate customer expectations into successful and profitable projects, Varun, a long-standing partner for many healthcare providers brings in a rich experience to the team. He lead the shared value strategy at BD which is fully integrated into the company’s core business strategy and is aligned with BD’s purpose of ‘advancing the world of health’. He focuses on specific growth enablers, including important global relationships, leadership initiatives and development program. His exceptional vision has enabled BD to tap newer horizons and partnerships. Under his leadership, the company significantly scaled up its engagement towards improving discovery, diagnostics and the delivery of care in the industry to reel in substantial profits. His entrepreneurial flair, coupled with visionary team spirit is showcased highly in his work under various portfolios. While at Fortis, Varun participated in the Guinness world record for the highest number of cervical cancer screenings for Fortis Foundation and The Clean Hands to Save Life™ campaign around hand hygiene. As the Secretary of NATHEALTH, he played a key role in leading discussions on Make in India and developing inputs for the National Health policy. He has catalysed the Make in India campaign successfully on behalf of the medical technology industry at various industry forums and highlighted the campaign in its entirety considering the various aspects of healthcare. In his endeavour towards this campaign, he led a whitepaper in collaboration with Deloitte on ‘Medical Devices: Making in India – A Leap for Indian Healthcare’ under NATHEALTH portfolio. Varun’s zeal and enthusiasm for growth and development transcends into his recognition of making ‘Make in India’ campaign a major narrative in policy and industry discussions. As the Chairman of AdvaMed India, Varun spearheaded the efforts to advance medical technology in India through fostering an environment that encourages innovation. He has partnered with the entire Med tech industry to develop the framework for regulatory developments in the healthcare. Varun has also led the Government and media affairs for FICCI Health-services being the Co-Chair. His remarkable feat in the health sector is captured by many notable accolades, including the award for the Best CEO in a Medtech Company 2015, ET Best Healthcare Brand and Aon Best Employers 2016 for BD - India, among others. Varun is extensively engaged in public-private sector collaborations with international agencies like WHO, FIND, CHAI, governments and non-government organizations, large organised healthcare chains, focused on specific public health goals such as strengthening clinical practices, reducing maternal and neonatal mortality and improving safety for healthcare workers and patients. With his Marketing, Finance and Computer Science background, Varun brings a dynamic and cohesive approach and has enthused large teams to create operation and strategic successes across different industry sectors of telecom, retail, healthcare delivery (hospitals) and medical technology.